An Oil A Day – you know what they say, an oil a day keeps the doctor away! 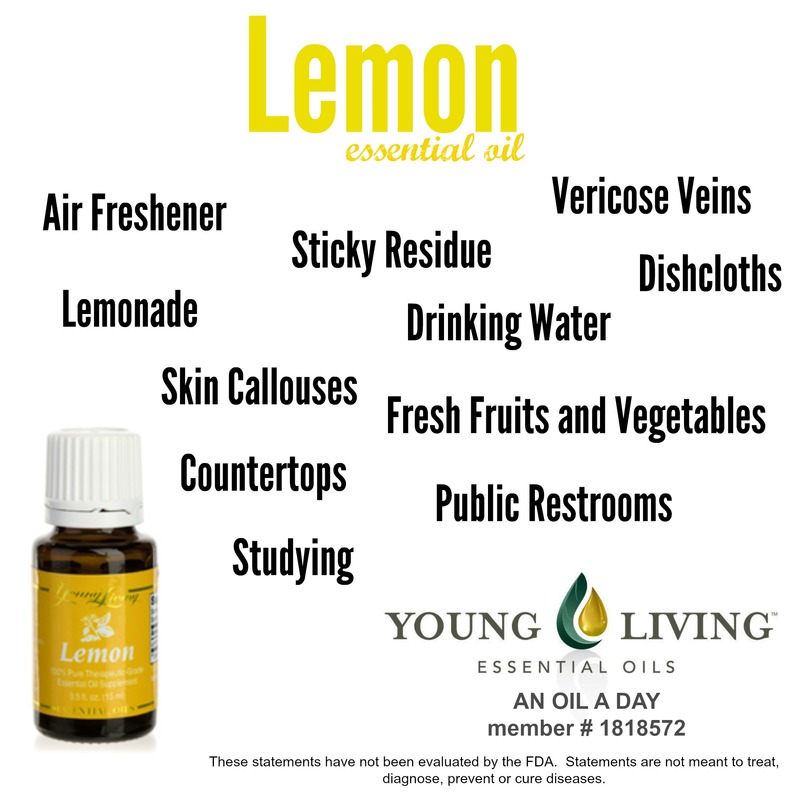 One of my favorite things to do with Young Living products is give them away! That being said, this month I ran a special for everyone who joined the An Oil A Day Team!! 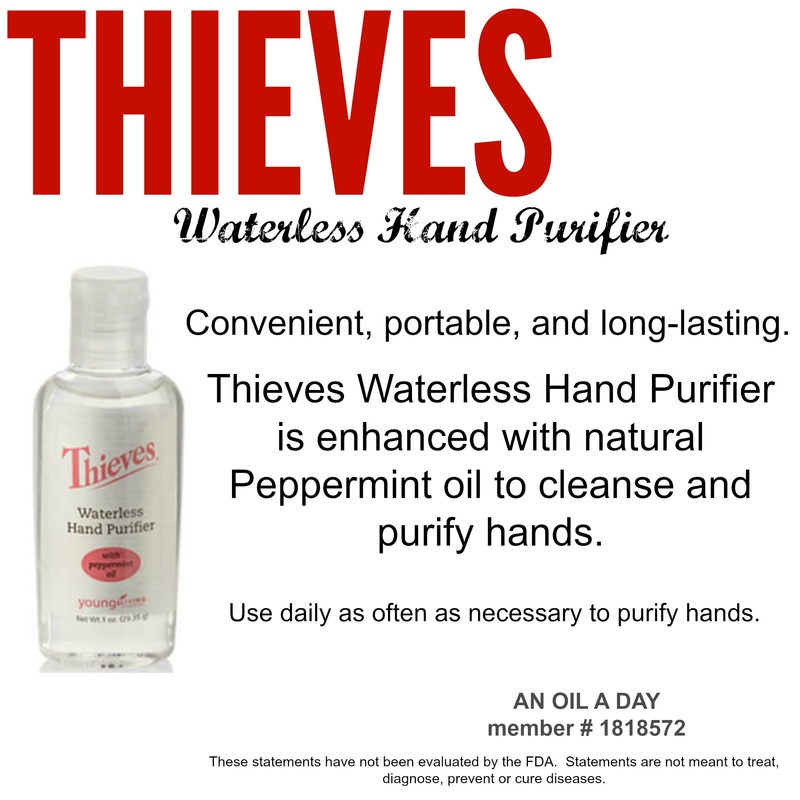 Anybody who signed up by purchasing a Premium Starter Kit was entered to win a Thieves Waterless Hand Purifier. Who doesn’t like to win free things!? The offer is still available until Sunday at midnight! I have had many questions recently about the use of essential oils in pregnancy. I decided it was time to turn to my Quick Reference Guide for Using Essential Oils by Connie and Alan Higley to answer some questions. 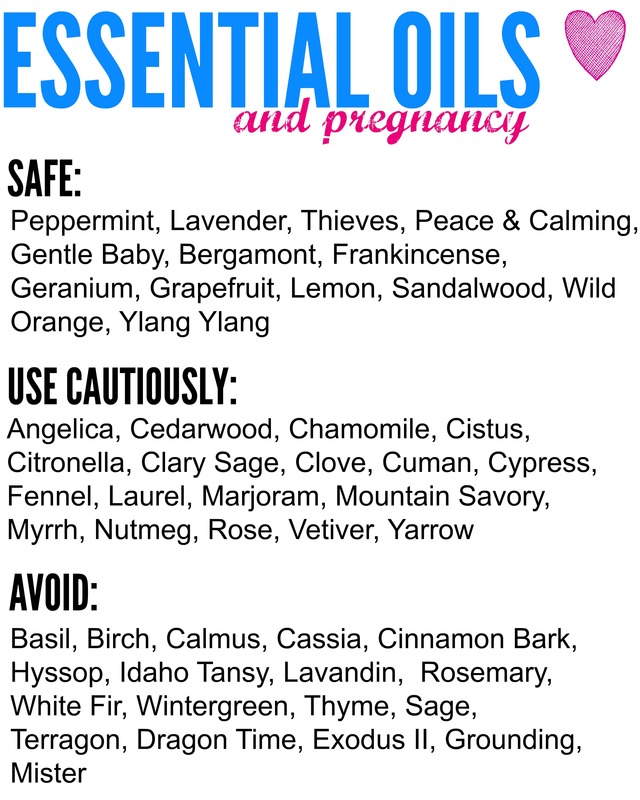 Let’s start off with which oils are safe for pregnancy, should be used with caution and which to avoid. Most oils will not cause problems when used correctly, diluted, and in moderation. It is always recommended talking to your OB or Midwife before using oils in pregnancy. Now, let’s get into how to use safe oils in pregnancy. Oils to use to relieve anxiety and tension during pregnancy could be Into The Future, helps to let go of fear and trauma; Tranquil Roll-On; Present Time, helps mother focus on giving birth.Into The Future and Present Time should be diffused into the air, inhaled directly, or applied to hands, tissue, or a cotton wick. Recipe #1 – Frankincense (1 drop on the crown for protection), myrrh (on remaining umbilical cord and around navel to protect from infection), Valor (1 drop divided between both feet and 1-2 drops rubbed up spine to help ensure proper alignment). ComforTone can be taken during pregnancy as long as you do not get diarrhea as diarrhea can cause cramping which could bring on labor. ComforTone is a supplement. Oils to use during delivery could be Lavender (circulation, stimulating, calming, antibiotic, anti-inflammatory, antiseptic), nutmeg (balances hormones, calms the central nervous system, alleviates anxiety, increases circulation, and does good to the blood supply), Valor (align mothers hips; apply along inside and bottom of each foot; then have someone hold feet – right palm to right foot and left palm to left foot- to balance energy flows), clary sage, Forgiveness, Gentle Baby, Harmony. Lavender, nutmeg, Forgiveness, Gentle Baby and Harmony should be diffused into the air. 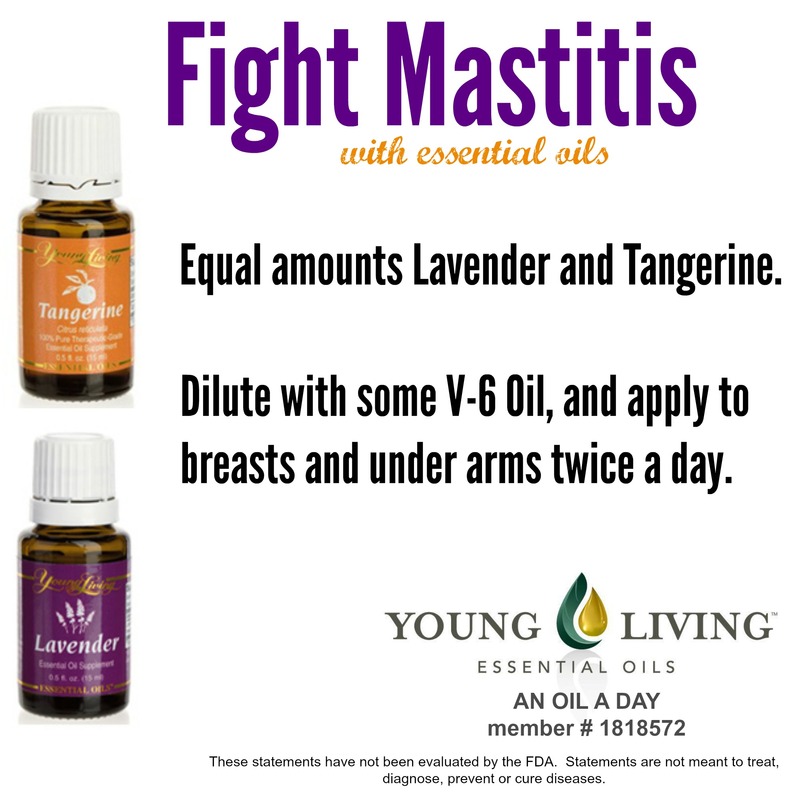 Lavender, nutmeg, and Valor should be diluted as necessary and applied as indicated. **Caution** Nutmeg is generally nontoxic, non-irritant and non-sensitizing. However, large doses may cause nausea, stupor and tachycardia. Use in moderation and with great care during pregnancy. Recipe – ClaraDerm Spray (spray onto and massage into perineum three times daily), Gentle Baby or geranium (neat or added to olive oil, massage perineum). Blend – 8 drops geranium, 5 drops lavender, 1 oz V-6 Oil. Prepare three weeks before delivery, and rub on perineum three times daily. One week before delivery, prepare the same blend and add 5 drops fennel. Continue applying three times daily. Tone uterus with 1-3 drops of clary sage around ankles (one woman dilated and had her baby in 1 1/2 hours), Dragon Time, fennel, Gathering, sage. Dilute Basil as necessary and apply 1-2 drops to temples, abdomen, or Vita Flex points on feet. Rub Lavender on tummy to help stop early labor. Blend – Equal portions of Roman chamomile, geranium, and lavender in V-6 Oil. **High blood pressure can potentially be dangerous in pregnancy. High blood pressure can cause a decreased flow of blood to the placenta, slowing down the baby’s growth; premature placenta separation from the uterus, taking away the baby’s oxygen and nutrients and causing heavy bleeding in the mother; premature birth; and the risk of future disease. Oils to use to help prevent high blood pressure could be Aroma Life (over the heart) and ylang ylang. Avoid using hyssop, rosemary, sage, thyme, and possibly peppermint. The blend Gentle Baby could be used to keep the baby in the birth canal. One mother would rub Gentle Baby on her little fingers and little toes when contracting. Then she would squeeze the sides of her little fingers while someon elese squeezed her little toes. This was repeated during contractions until the baby decided to stay in the birth canal. Oils that could be used during labor are Clary sage (kick labor into gear, some have combined with fennel), Gentle Baby (apply to ankles and hands when labor starts), Into The Future (to help move past fear and trauma), Into The Future (to help move past fear and trauma), jasmine (speed up contractions), Present Time (to help focus). Blend – use only when ready to deliver. 2 oz. V-6 Oil, 8 drops clary sage, 8 drops lavender, 8 drops jasmine. May be useful when trying to induce labor or augment a slow, lazy labor. 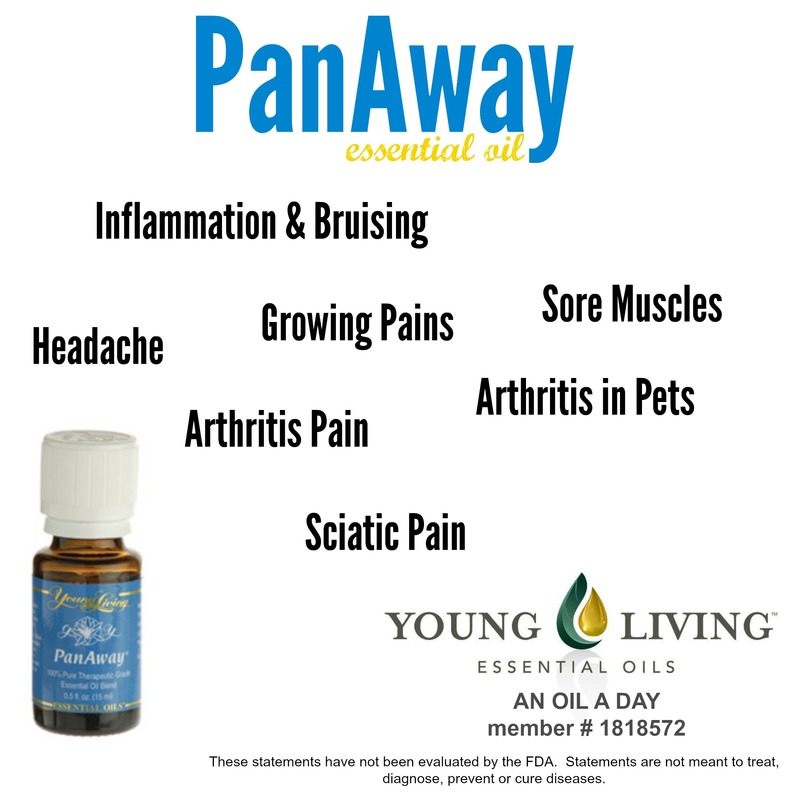 Apply PanAway to lower back and tummy area to help manage pain. Oils that could be used after labor are Geranium and lavender. *Lavender has a calming effect and a slight analgesic effect. It also stimulates circulation, which is great for both mother and baby, and has anti-inflammatory and antiseptic properties. Geranium is one of the best oils to stimulate circulation, which in turn facilitates easy breathing. It has a contractive effect and helps pull together dilated tissues, so it is healing for the uterus and endometrium after the birth. Geranium is also an antidepressant and is known for its uplifting effect. Oils to use would be Frankincense, grapefruit, geranium, lavender (may help prevent), Roman chamomile, spruce (two drops on solar plexus). Recipe – 4-6 drops of spearmint in a bowl of boiled and cooled water and place the bowl on the floor beside the bed at night to help keep the stomach calm. Oils related to nursing and lactation are clary sage (brings in milk production), fennel or basil (increases milk production), geranium. To decrease milk production apply a cold compress, using peppermint and/or jasmine, over breasts. Basil (has been used to help retain) and jasmine (helps expulstion) can both be diluted as necessary and applied on lower abdomen and on Vita Flex points on the feet. The following oils can be diffused into the air or diluted as necessary and applied to the temple or forehead: Joy, lavender, lemon, grapefruit, Peace & Calming, Hope, Valor, basil, bergamont, clary sage, fennel, frankincense, geranium, Gentle Baby, Harmony, jasmine, myrrh, nutmeg (use in moderation), orange, patchouli, vetiver, White Angelica. Recipe – Valor first (2-5 drops on each foot; hold to balance energies), Harmony (use finger to dab a small amount onto each energy center), Joy (apply a drop between and just above the breasts), White Angelica (on the crown of the head and over the top of the shoulders). Aroma Life, Clarity, Dragon Time, Gentle Baby, Mister, M-Grain and Relieve it can all be used to help with skin elasticity. Gentle Baby can be diluted as necessary and applied over the stomach everyday. ClaraDerm can also be applied topically to stressed skin before and after childbirth. Armoa Life can be diluted with V-6 oil and applied to the bottoms of feet and on abdomen; and also diffused into the air to help keep preeclampsia and toxemia away. *all information was gathered from Quick Reference Guide for Using Essential Oils by Connie and Alan Higley.